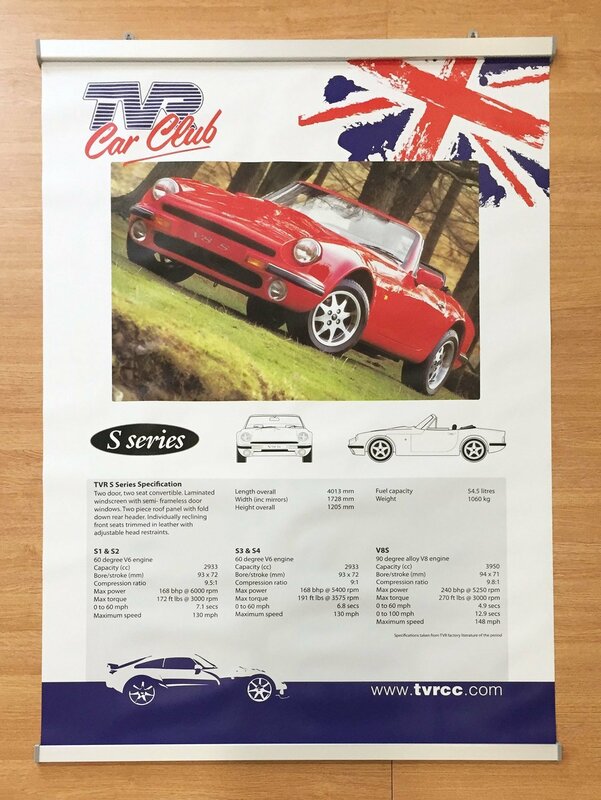 choice of 250gsm satin poster paper or 500 micron waterproof exhibition grade material safe for garage walls in any conditions! You can supply your own photo, and even engine specs if different from printed ones, for a completely personal customised print. If you order a custom print we will email instructions for sending your photo and text. You will then have a proof emailed to check and sign off before the final print is produced. All the details are taken from TVR factory literature and specifications of the day - sometimes these were not always correct or were changed later!! So if you would like specific details instead of those shown, please order a custom print and supply your own info to fit. *Other models specs are in production and will be added to the website as soon as they are available.